It’s almost turkey time, because Thanksgiving is just around the corner on Thursday, 22 November. Who cares if you’re not American? The holiday provides the perfect excuse every year to throw diets and calorie counting to the wind and indulge in a grand feast of epic proportions with loved ones. 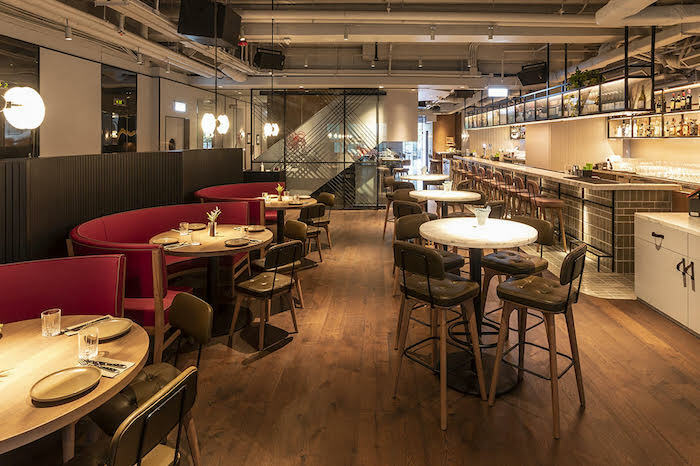 For those ready to take on uninhibited helpings of turkey with all the fixings this year, newly opened Hunter & The Chase in Sheung Wan is the place to go, with an attractive family-style menu celebrating this beloved North American holiday. The Chase, on the 3rd floor, offers a casual bistro-style ambience with alfresco dining. Taking over the former Shore restaurant in The L. Place, this modern bistro and bar has already given epicureans plenty to talk about, from its bold approach to modern American fare dished up by head chef Felipe Lopez, to the innovative cocktails from the mixology-driven bar. On the 3rd floor, The Chase is a convivial dining spot with casual alfresco options including a newly launched semi-buffet lunch (starting at HK$188), healthful á la carte options and a long list of sip-worthy cocktails. Head up to Hunter on the 4th floor and you’ll be met with a more elegant and sophisticated setting decked out in warm wood and mahogany tones, imbued with the feel of a contemporary gentlemen’s lounge. 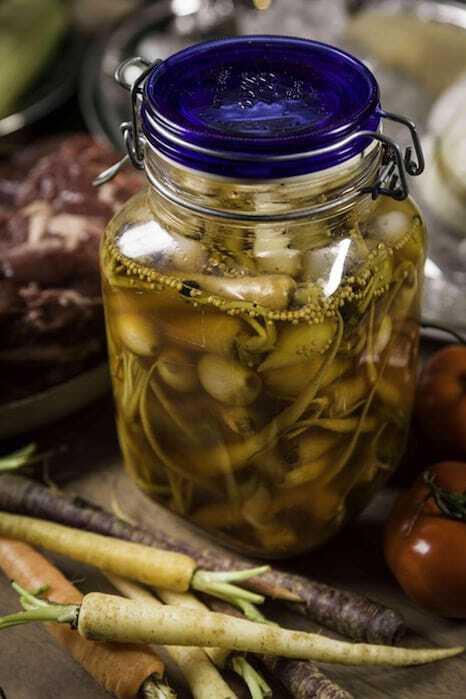 Here, the menu leans towards grilled proteins and sophisticated starters, with star dishes including hanger steak with forest mushrooms and rotisserie chicken. 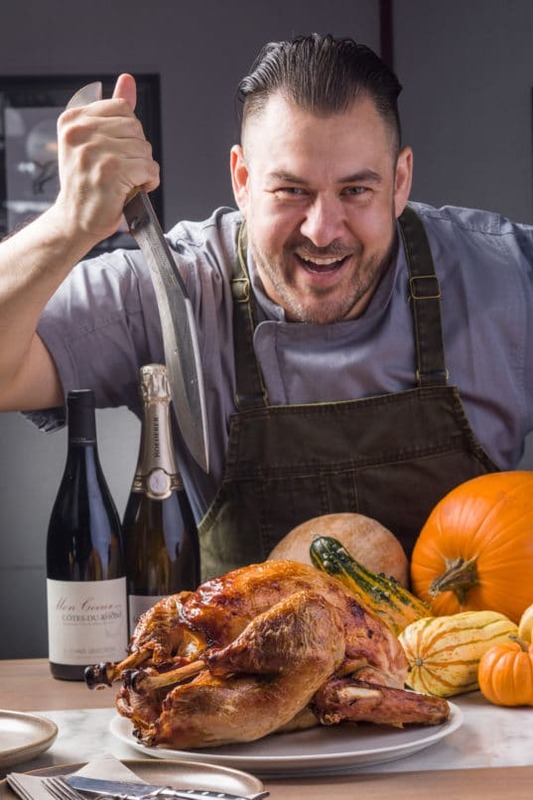 Chef Felipe Lopez takes inspiration from his American roots to dish up an epic Thanksgiving menu. For Thanksgiving this year, both venues will offer the “Thanksgiving Sharing Frenzy” set menu, available from Nov 22–25th and priced at HK$588 per person (minimum four guests). Whether you choose to dine in the intimate clubhouse setting of Hunter or the convivial dining room or terrace of The Chase, you can expect a gourmet feast that stays true to the spirit of Thanksgiving while providing a twist on traditional offerings, from the long list of refreshing libations to a beautiful brined turkey as the main event, surrounded by hearty autumnal side dishes, of course. Kick off the night with the Raspberry Cobbler featuring Framboise, pinot noir and rasperry purée. Sides include cranberry sauce, smashed potatoes and homemade pickles. Start off the holiday with a bit of pomp and circumstance with the giant sharing-style cocktails served in pitchers and barrels, including the fruity Raspberry Cobbler (HK$368 per pitcher) with Framboise, pinot noir and raspberry purée; and the Barrel Boulevardier (HK$458 per barrel), which packs a punch due to its mix of bourbon, sweet vermouth, Campari and all-spice. With your appetite piqued, it’s time to tuck in to a colourful carousel of Thanksgiving treats, from potted turkey confit with shallots and Hunter’s pickles; to butternut squash salad with cranberries and maple vinaigrette; and ham steak with roasted pineapple chutney and candied yams. The pièce de résistance is the whole grilled turkey, a decadent and tender bird stuffed with a wild boar stuffing and served with a tart cranberry sauce and sumptuous sides including smashed potatoes with rosemary salt. Turkey is the star at Hunter & The Chase this month. 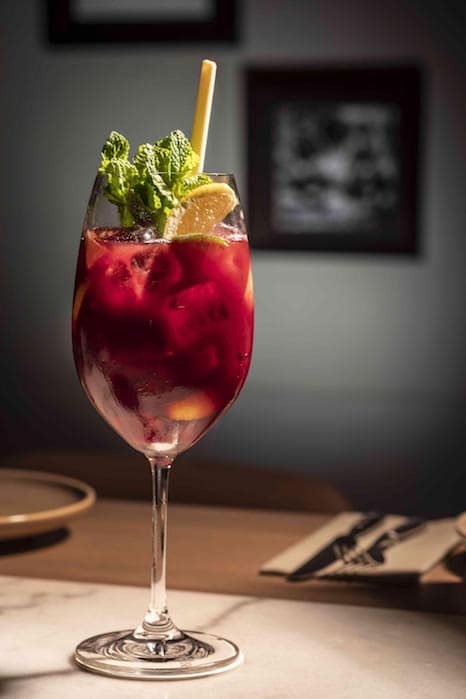 Eclectic and comforting, the menu taps into chef Lopez’ philosophy of experimenting with alternative meat cuts, and putting his own innovative twist on classic dishes. When it comes time for dessert, however, it’s a 100% classic American spread that takes centre stage, from the creamy pumpkin pie buried under a mountain of whipped cream, to the tart lemon meringue pie with a crumbly graham cracker crust. With the drinks flowing, gut-busting comfort fare and a lively atmosphere to book — Hunter & The Chase is sure to be a popular option come this Thanksgiving, so make sure you get your reservations in early. 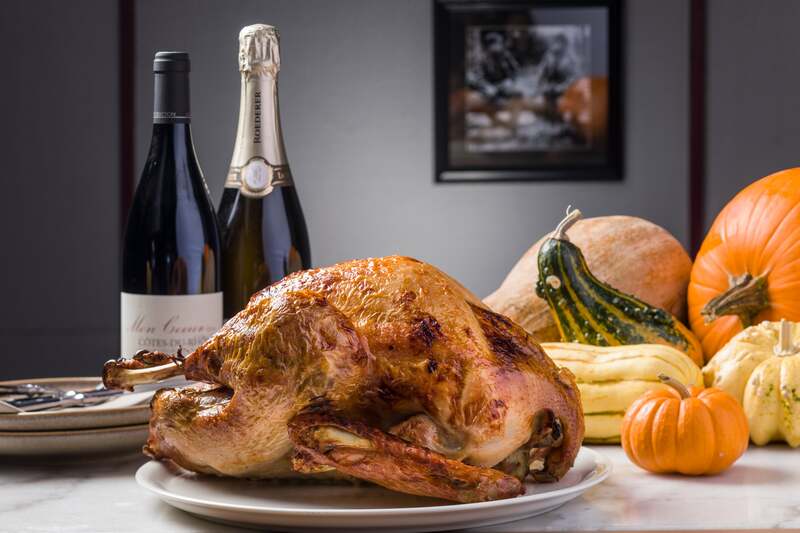 Hunter & The Chase’s “Thanksgiving Sharing Frenzy” is available from 22–25 November, priced at HK$588 per person for a minimum of four guests; advance reservation required.